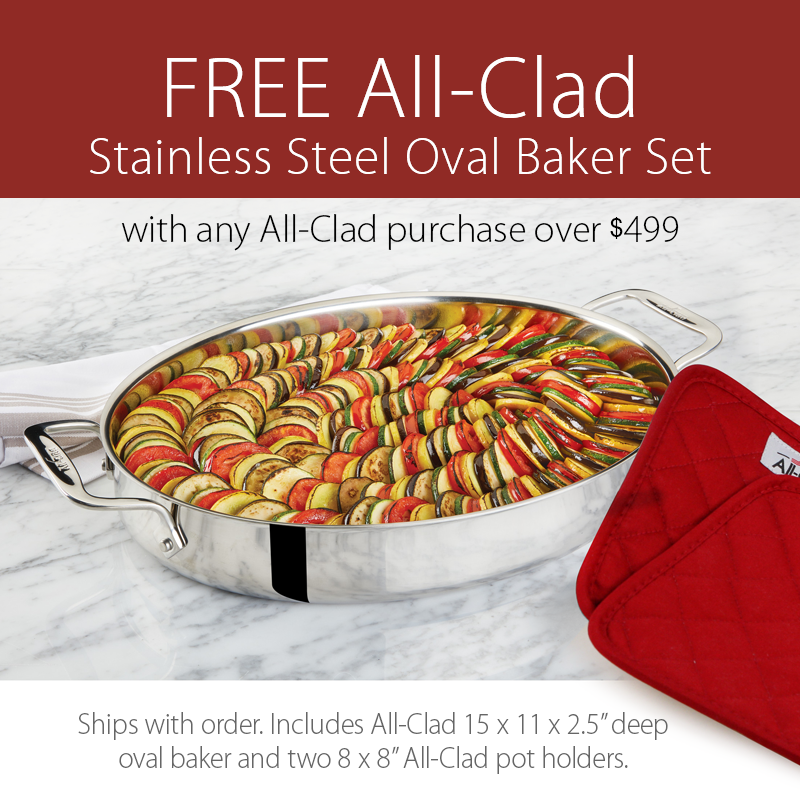 The All-Clad Saucepan with Porcelain Double Boiler Insert delivers heat slowly and gently to prevent scorching and separating. 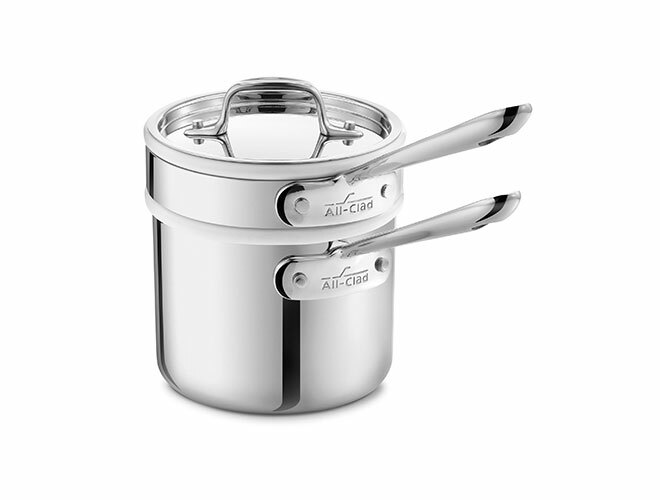 Using a double boiler with a ceramic insert is ideal when working with delicate ingredients, such as chocolate, cream-based desserts and sauces. The insert provides a cushion against high heat that may change the flavor of the food. 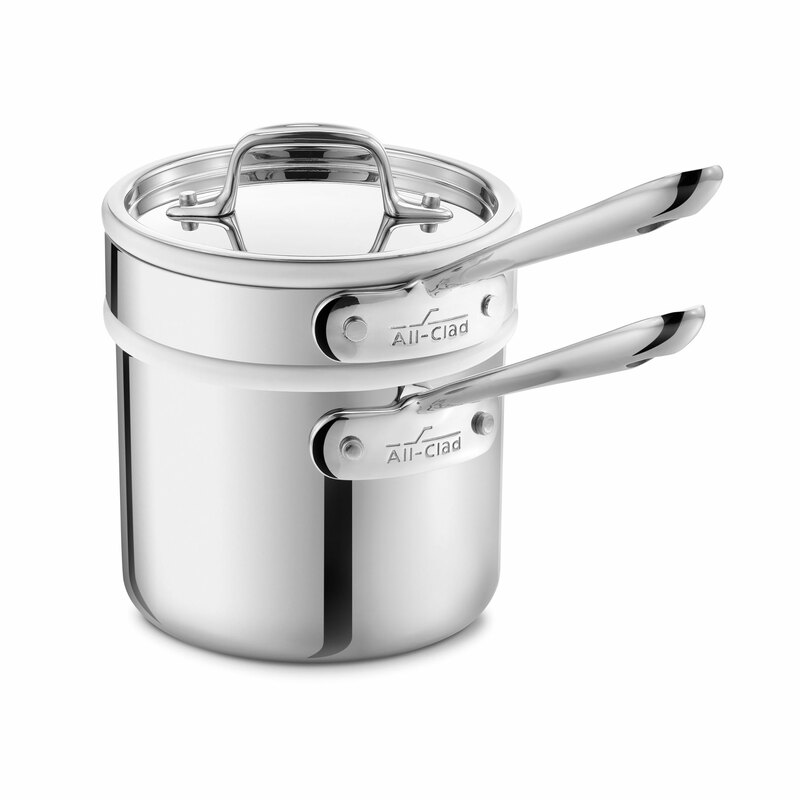 https://www.cutleryandmore.com/all-clad-stainless/saucepan-porcelain-double-boiler-insert-p121261 21261 All-Clad d3 Stainless 2-quart Saucepan with Porcelain Double Boiler Insert https://cdn.cutleryandmore.com/products/large/21261.jpg 179.9500 USD InStock /Cookware/Cookware Accessories The All-Clad Saucepan with Porcelain Double Boiler Insert delivers heat slowly and gently to prevent scorching and separating. 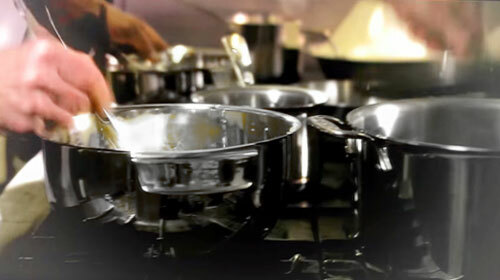 Using a double boiler with a ceramic insert is ideal when working with delicate ingredients, such as chocolate, cream-based desserts and sauces. The insert provides a cushion against high heat that may change the flavor of the food.